This Eid, let’s be dazzled with appealing new lawn prints and cruise in style with Sapphire’s latest Eid lawn collection. It’s almost midyear and fashion is oozing out from every corner of the country, since there is just one month to go, to celebrate the most auspicious event of the year, women are heading to markets to get the best of designer wears for the day. 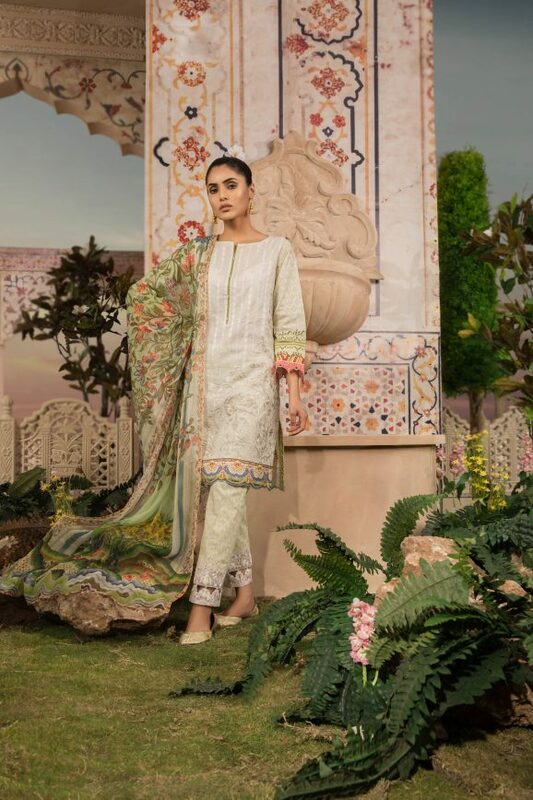 As promising as always, Sapphire has brought an extremely diverse range of lawn collection, encompassing almost every possible colour, print, design, cuts and patterns. This clothing line has made its name not only from the sheer quality of its dresses but also through its distinctive infusion of creativity. Sapphire’s majestic piece of fabrics will take you to the mystical land of pacifying summer breeze. Here we will share the Sapphire Latest Eid Lawn Collection with you guys. Let’s proceed. 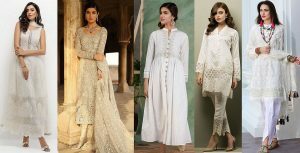 If you are still eyeing up for perfect Eid wear then Sapphire Latest Eid Lawn Collection has all the right options for you at highly reasonable rates. Sounds unbelievable? Witness it all by yourself! Have a look on the Sapphire Latest Eid Lawn Collection 2018. A boosting luxurious treat of hues blended with decent imprints in white and black is making this series of dresses stunningly captivating. It’s light and funky and looks great when paired with monochromatic bottoms. 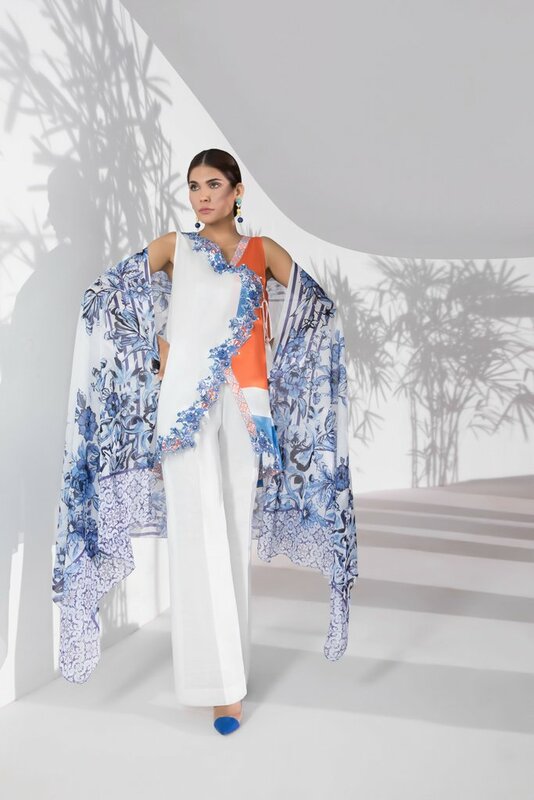 A healthy merger of flora with block prints is the real deal of Sapphire’s Botanic series of Lawn suits. These dresses have a bold combination of blacks with blues and other soft shades. The prints will lead you to the wild with the range of botanic patterns tied together. High on its mesmerising soft shades, an ethnic vibe is an excellent option for women of all ages. It will cool off warming summer blazes with pasty pink and phenomenal green. These iconic printed/ embriodered shirts and dupattas are paired with bell bottoms. Blooming flowers everywhere, the ravishing bloom is an exciting collection presenting floral patterns in a unique mix. Bold black with enriching blues and enticing yellow, these are the combination that will make you skip a beat for a while. 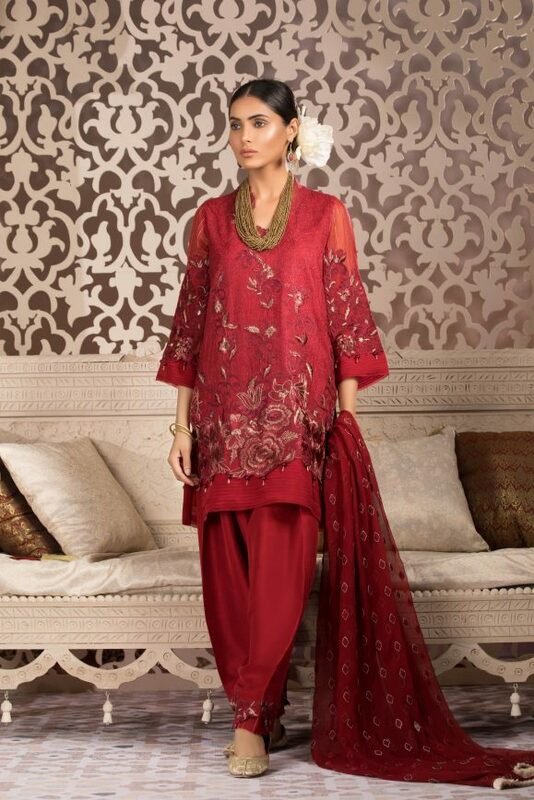 Splashes of colors in accentuating patterns of classy flowers are going to move you to the core. Bottoms are bordered with pretty prints. Dupattas in chiffon are also heavily printed with the full dose of flowers. Want to experience the pleasures of beautiful Russian orchids? 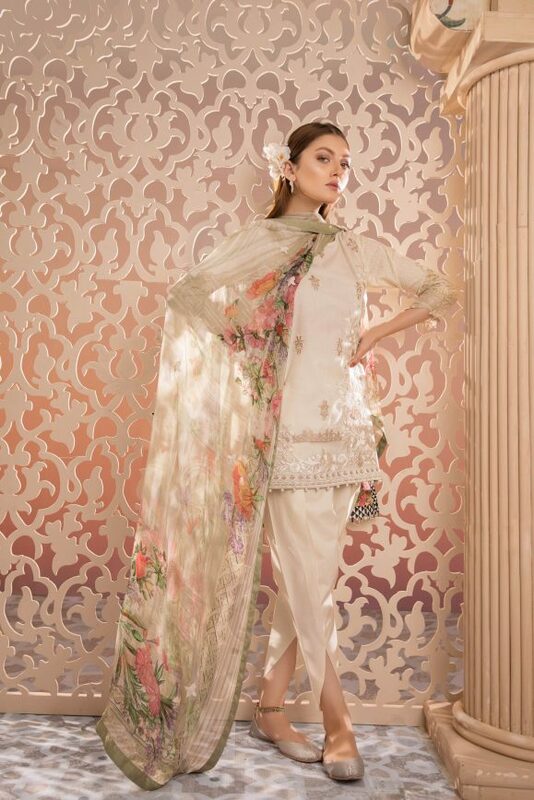 Well, let’s have a walk through the enticing series of Sapphire’s lawn collection. These dresses have sensual, rich patterns surrounding the shirt giving it a heavy dose of colors like dark green, red, maroon, etc. Tibetan maze is that one collection which will take you to the beachy islands of Maldives, through its icy blue hues and combination of greens. Lined patterns with pretty urban designs make this collection ravishing. Chic girly prints are on the move, harmonious in essence the colours of this series dangle along the summer breeze. It has the bordered patterns in urban style. Here too, white is paired with the elegant prints. The dupattas are printed with the dash of colourful patterns complementing the beauty of the shirt. When white hits the blooming lavenders in pretty shades, this gives a spellcasting series of Florentine bunch by Sapphire. For all the white lovers out there, grab yourself this treat before it’s too. It accommodates all the alluring floral patterns. Representing the richness of traditional Chinese cultural, this series is an pretty amalgamation design and ancient fancy cuts which can be designed into long trendy sleeves. The Rich background is giving an elegant highlight to the rustic patterns all over it. The richness of our Mughal heritage is well mixed into the intricate patterns of the Mughal miniature series. The shirts are bordered with motifs of ancient palaces and architecture with a touch of blooming flowers and patterns covering the front and back. An amalgamation of all the trendy patterns packaged into one is the unique tempting feature of this exciting series of Sapphire’s lawn. It has lots of tones, mixed to create depth and dimension into the prints. Scenic beauty and pretty landscapes when get encapsulated into a dress, garland glaze is what to get. These dresses also have soft combinations of white with hues but are distinctively patterned with stupendous prints with rich bordered shirts. A loud mix of bold with beauty is the essence of this beautiful recreation of lawn dresses. It has a blend of black with soothing shades of pink and whites. The sublime vision series has the bordered prints which give a feeling of entering into an enchanted land of beauty. Layers of trendy and mellow prints are overlapping to provide a mesh of fabulous new design in this one. It is uniquely designed to merge the hooking patterns in vocal hues. Hope you have loved this Sapphire Latest Eid Lawn Collection. Keep visiting us for more fashion updates.